CourseLoka helps you learn spoken Kannada and Hindi easily and quickly with conversation lessons and audio. You can learn to speak in 15-30 days. You can download the CourseLoka mobile app and learn on desktop site as well. 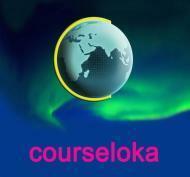 Courseloka conducts classes in Hindi Language and Kannada Language. It is located in Indiranagar, Bangalore. It takes Online Classes- via online medium.